$2 Admission (portion of the proceeds will go to the Fond du Lac Humane Society) - Children 10 and under free. Looking for a great deal? 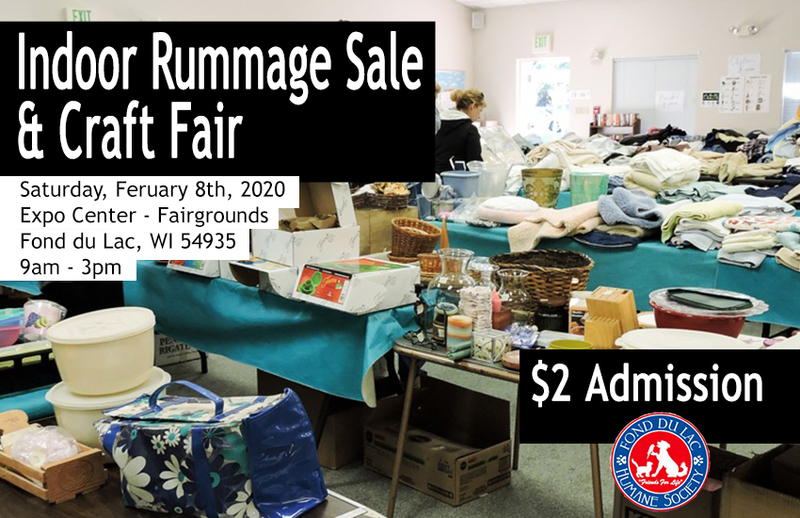 Come to the Indoor Rummage Sale at the Expo Center on the Fond du Lac County Fairgrounds in Fond du Lac, WI where you can find personal rummage sale items from everyday people, overstock, closeouts and flea-market finds from local business owners and hobby items, crafts, antiques and collectables.